I have to be careful when I go to the book store. It’s way to easy for me to get distracted. I pick up books off the nearest display tables devouring the blurbs on the jackets, curious about the story but also curious about what prompted the author to write this story. What drove them to want to write about a faded picture of a young girl from 1862 who as it turns out is intrinsic to the current day dilemma facing our young twenty-something protagonist? So clever, I think as I put that book down and pick up the next one. There are stories about betrayal, about friendships lost, marriages deteriorating, and revenge. 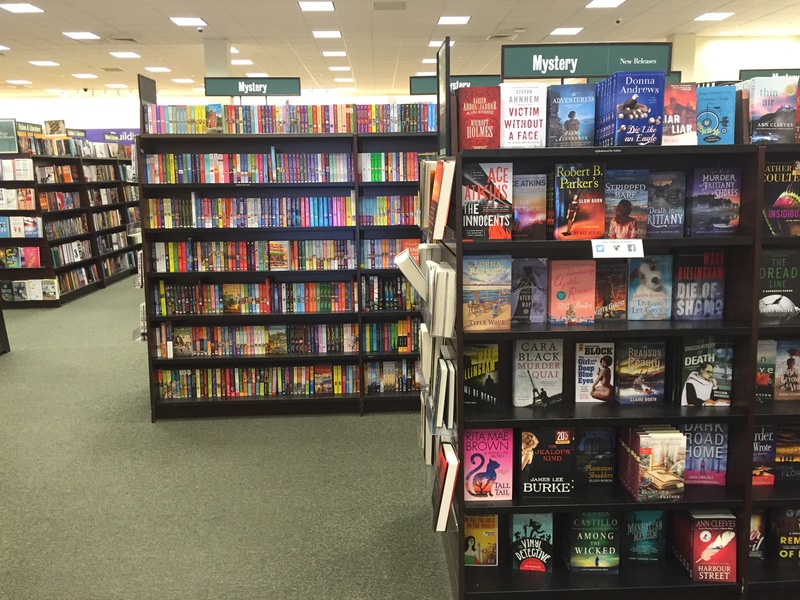 I glance up and see a whole rack dedicated to mystery. Across from me are new romance novels and to my left a whole section filled with literary fiction. I could stay here all day, I think, with a little internal squeal of delight. And that smell, that heavenly smell of paper and ink. It’s there all right. It might be faint but it’s there. If Yankee Candle created a scent called “Fresh Paper and Ink” I’d be the first in line to get it. The worst thing about the book store, besides the fact that I lose copious amounts of time there, is that to a struggling writer it looks very intimidating. Look at all these authors, I think, I’ll never get published. On a good day this is followed up with, look at all these authors, if they got published I can too. I also don’t know if I’ll ever get away from wanting to hold a book. Yes, I have an e-reader and I do use it. As a matter of a fact I’ve discovered some great books in the digital world especially among self-published authors. But holding a book, turning the pages-I just dig it, especially at night, in bed before I go to sleep, my book light focusing all my attention on the pages before me. Ahhhh…just thinking about it makes me want to go snuggle under the covers with my latest read. You know what, I think I’ll do just that.